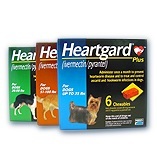 Heartworm Disease is a potentially fatal parasitic disease found commonly in Indiana. The disease is transmitted through mosquito bites. As the mosquito bites an animal, small baby worms are injected into the wound. These babies migrate through the dog or cat's body towards the heart, slowly maturing and growing in size. After a period of five to six months, the worms finally reach the heart and major vessels and they have grown into adult worms. There they mate and release hundreds of small baby worms or microfilaria into the blood stream. These worms flow throughout the body and are then ingested by the next mosquito that bites the animal. This is a map of the Heartworm Disease cases in the nation in 2005. Indiana has a higher incidence compared to other states in our area due to mosquito populations and the rates of Preventative use in our state. Hopefully, in the last three years, we have successfully decreased the rate of disease in our state through more widespread and consistent use of monthly Heartworm Prevention. As soon as a new map is released, we will post it! For many years, the veterinary community did not realize the true incidence and severity of Heartworm Disease in cats. The disease course, symptoms and outcome are very different in cats than in dogs. The cat is not an ideal host for the heartworm and their immune systems are better at fighting the infection than a dog's. However, the same mosquitos are biting cats as are biting dogs. 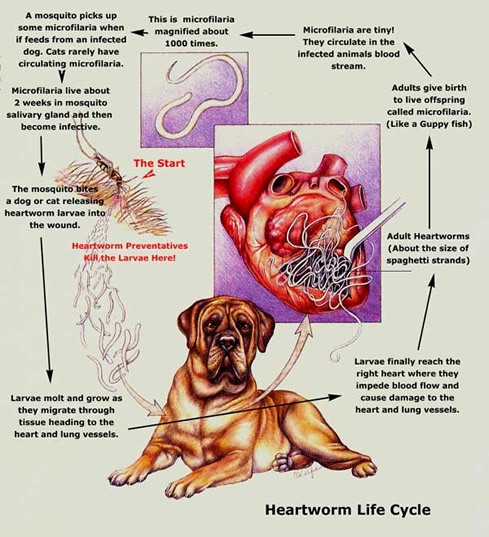 They drop the heartworm larvae into the wound and the larvae begin migrating towards the heart. However in a cat, the immune system is much better at killing the worms so it is less likely to find mature worms living in the heart or great vessels. 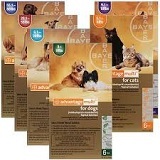 Frequently, cats suffer from infections involving very small numbers of worms, perhaps even single worms. The symptoms seen in a cat more frequently involve the lungs such as asthma and coughing, although they can also develop the traditional signs of heart failure or sudden death. 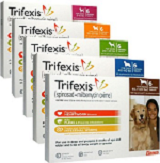 Monthly prevention is vitally important in cats due to the fact that the medications we use to kill the adult worms in dogs cannot be used in cats. So, if a cat is infected with heartworms, we can only manage the disease and long-term damage rather kill the worms in order to stop the damage quickly.